Sac State sophomore right-handed pitcher Scott Randall throws a pitch in a 7-0 win against Rider on March 17 at John Smith Field. Randall pitched very well with a final line of 8 IP, 2 H, 0 ER, 1 BB, 8 SO in the win. 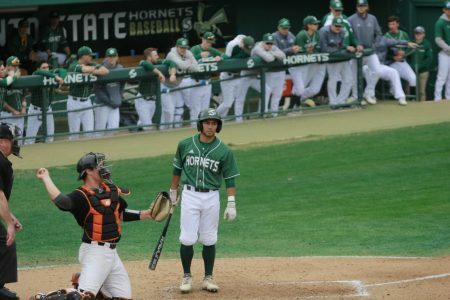 The Sacramento State baseball team started the 2019 season slowly in February but have heated up quickly in March, winning their last nine games in a row. 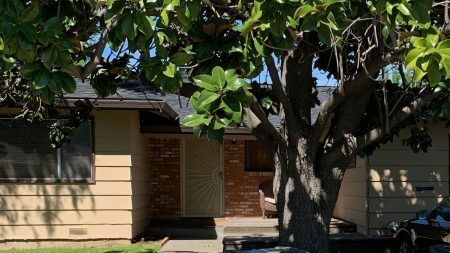 The Hornets (13-7) ended February with a cancelation of their road game against rival University of California, Davis due to rainfall. The team then regrouped and prepared to take on the No. 1 team in the country — No. 3 at the time of the game — the University of California, Los Angeles Bruins. 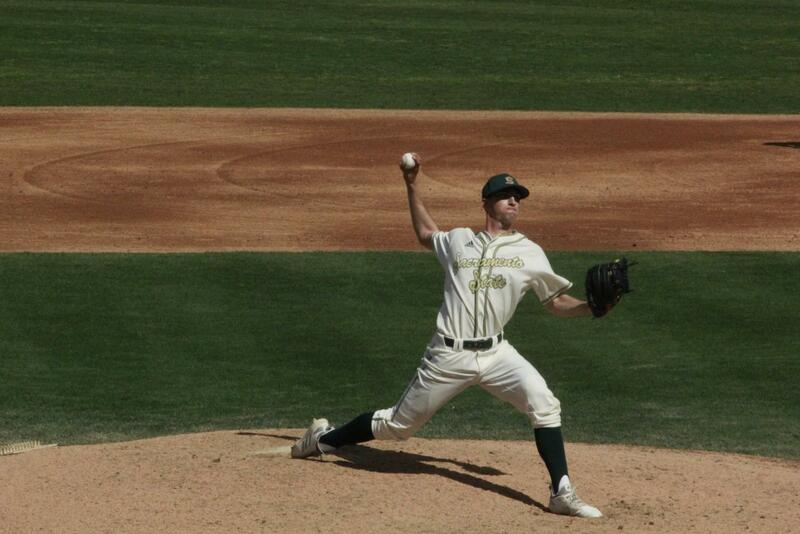 In game one of the series, Sac State put junior right-handed pitcher Parker Brahms on the mound to battle the Bruins. He pitched well over seven innings, allowing only four hits, one earned run and one walk with eight strikeouts. 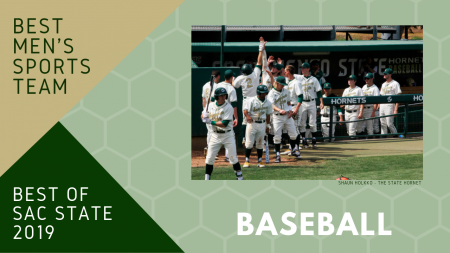 The Hornets entered the ninth inning tied with the Bruins at one, but Sac State was left on the field as UCLA scored an unearned run to walk-off and win game one of the series March 1. Game two of the series on Saturday was postponed due to rain. The two teams played a doubleheader Sunday to conclude the series. The Bruins led the Hornets 1-0 in another pitchers duel entering the bottom of the seventh inning. 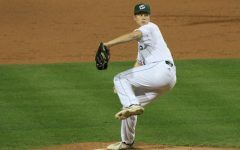 Sac State, sophomore, right-handed pitcher Scott Randall pitched well going five innings allowing eight hits, one earned runs and two walks with seven strikeouts. UCLA went on to score four runs in the bottom of the seventh inning and one more in the eighth to put game two out of reach, winning 6-0. The two teams rested for 30 minutes and came out to play the final game of the series. Game three was another pitchers duel as both teams were tied at one entering the ninth inning. 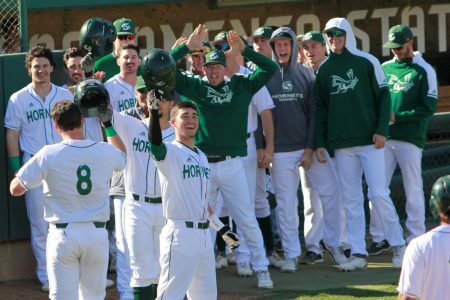 When his team needed him most, sophomore infielder Steven Moretto stepped up to the plate in the top of the ninth inning at Jackie Robinson Stadium against the Bruins. Moretto hit a solo home run to left field to take the lead and win for the Hornets. 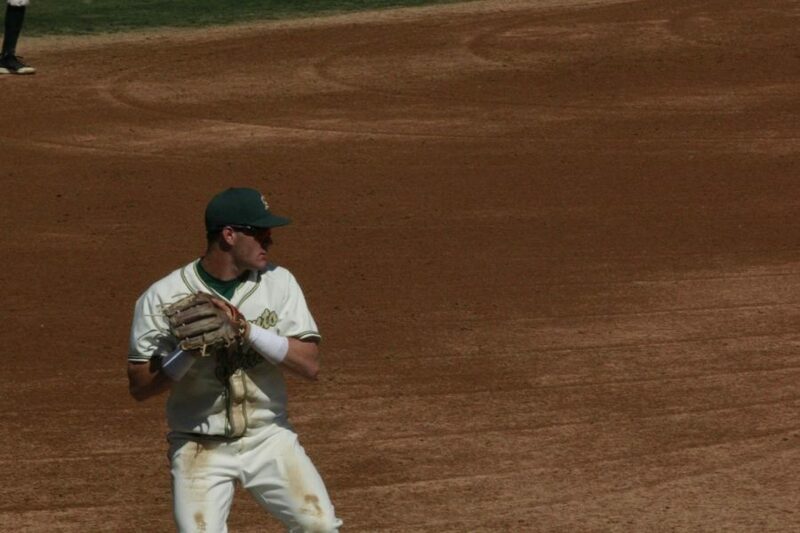 Two days later, Sac State concluded the road trip with a 10-1 loss at Saint Mary’s University. The Hornets loss to the Gaels on March 5 was the team’s last defeat as Sac State is now on a nine-game win streak. 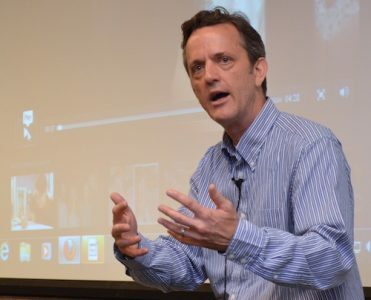 The Hornets returned home for a four-game series with the University of Towson Tigers. To avoid postponement due to rain, the series was shifted into two doubleheaders that were played on Friday and Saturday. 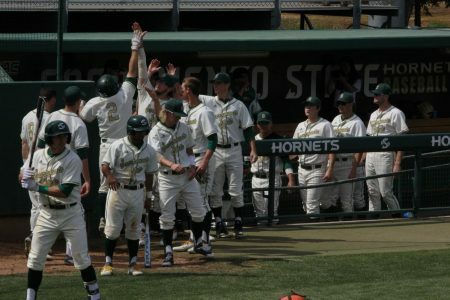 Sac State dominated Towson and swept the four-game series. On day one, the Hornets did not allow a run defeating the Tigers 5-0 in game one and 1-0 in game two. On day two, the Sac State bats came alive. The Hornets won game three 13-4 and game four 12-2 to complete the four-game sweep played over two days. The Hornets then came into a midweek game March 12 against bitter-rival University of California, Davis Aggies. This became the rivals’ only matchup of the season due to the previous game being canceled because of rain. The Aggies got on the scoreboard first with two runs in the first inning. The Hornets came back with two runs of their own in the bottom of the second inning. 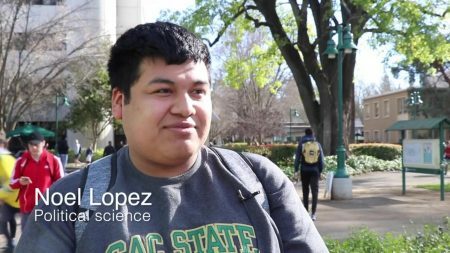 Sac State went on to score six more unanswered runs, ultimately winning the game against UC Davis 8-2, extending the win streak to five games. Sac State sophomore infielder Steven Moretto fields a ground ball and prepares to throw to first base in a 7-0 win against Rider on March 17 at John Smith Field. The Hornets have won nine games in a row. 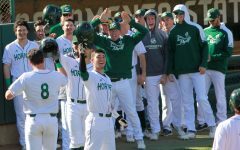 The Hornets looked to keep the momentum rolling at home as they took on the Rider University Broncs. The two teams played a very competitive three-game set. Sac State won game one 5-4 and game two 6-3. In the final game of the series, the Hornets achieved a statement victory, winning 7-0. 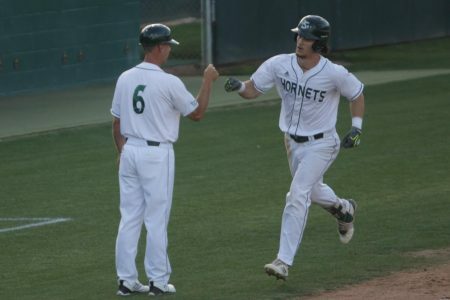 The Hornets got on the scoreboard early Sunday with runs in the 4th inning. Make that two for the Hornets. Senior OF @B_grubbin draws the walk allowing sophomore C Dawson Bacho to take a nice walk home. 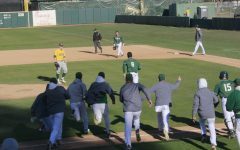 Sac State did not look back, scoring five more unanswered runs and ultimately winning the game 7-0, sweeping the three-game series. The Hornets were led to the win Sunday by another stellar pitching performance from Randall. He pitched eight scoreless innings allowing two hits and one walk with eight strikeouts. Freshman C Martin Vincelli-Simard has played well in his first year at Sac State, hitting .279 with 17 hits, 3 home runs, and 14 RBIs through 17 games. 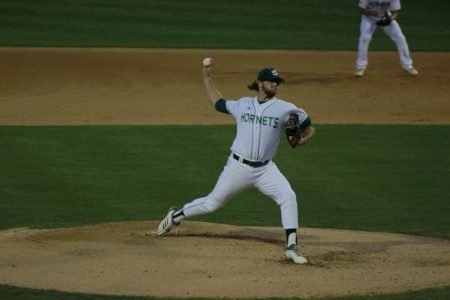 On Tuesday, the Hornets took on the San Jose State Spartans for a single-game matchup. The Spartans got on the scoreboard with two runs in the top of the first inning. 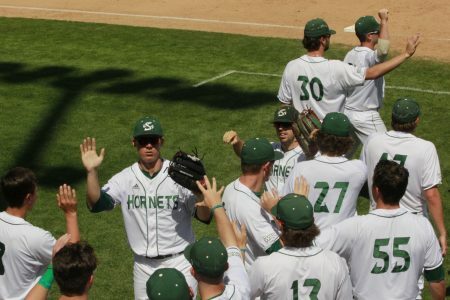 Much like against UC Davis, the Hornets shut down the Spartans following the first inning. 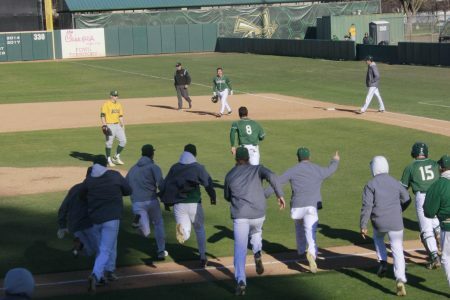 Sac State went on to score seven unanswered runs and win the game 7-2, extending the win streak to nine games. The Hornets got on the scoreboard with a three-run home run from Vincelli-Simard to left center field. 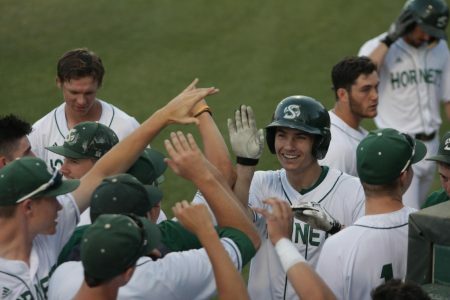 Sac State then scored four more runs in the fifth inning to put the game out of reach. San Jose State came into the game Tuesday ranking No. 14 in the nation in batting average. The Hornets held them to one hit in the entire game and as a pitching staff retired 23 straight batters to end the game. The Spartans did not have a single baserunner after the second inning. The Hornets will seek to extend their win streak to double digits this weekend as they open Western Athletic Conference play. 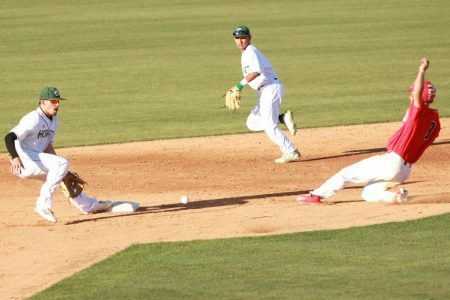 Sac State plays a three-game series against The University of Texas Rio Grande Valley. First pitch Friday has been moved up to 12:30 p.m. to avoid rainfall expected on Friday night.